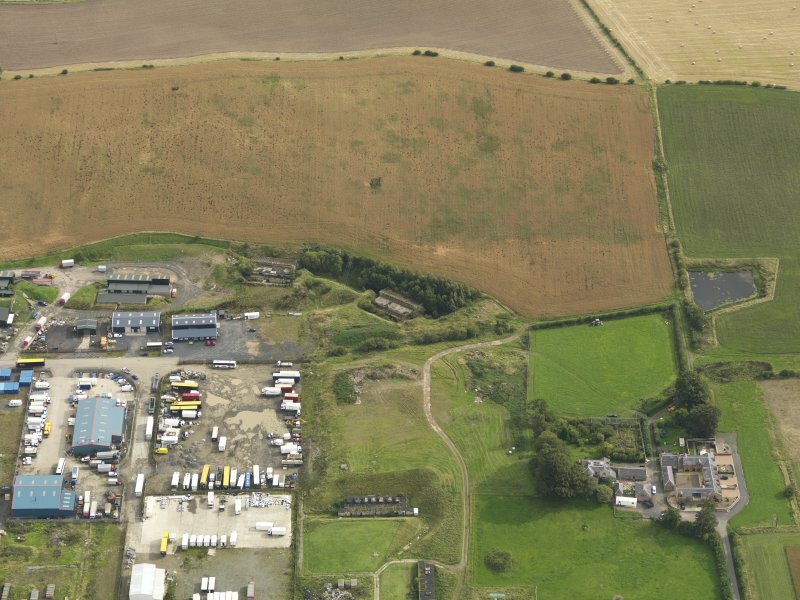 Oblique aerial view centred on the S part of the bomb factory, taken from the SW.
Oblique aerial view centred on the S part of the bomb factory, taken from the SSW. 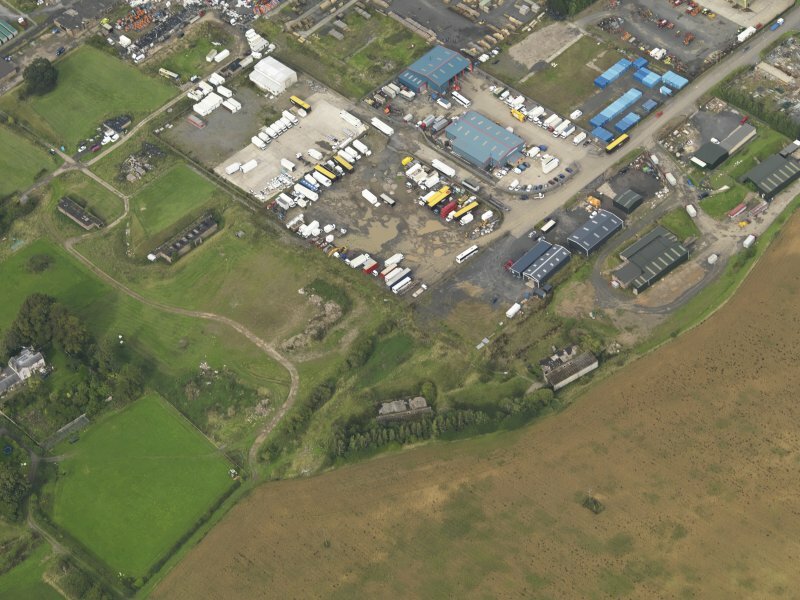 Oblique aerial view centred on the S part of the bomb factory, taken from the NNW. 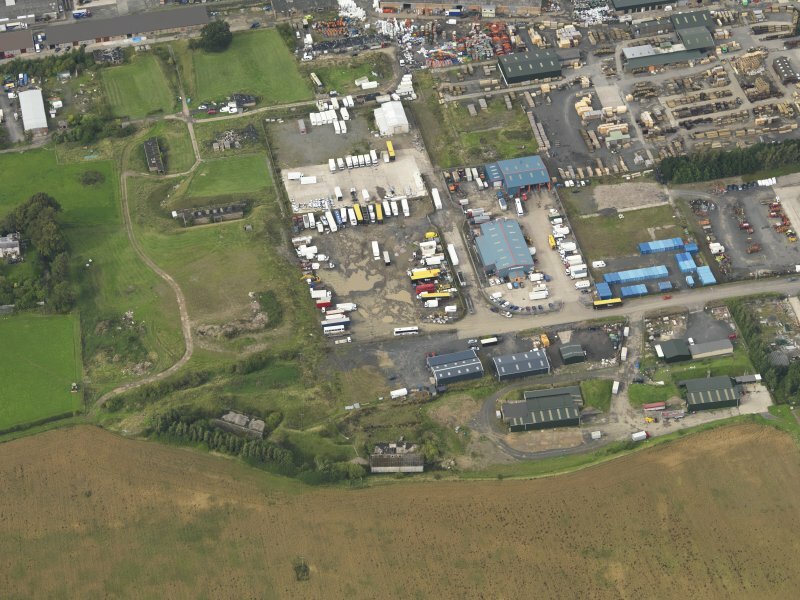 General oblique aerial view centred on the bomb factory, taken from the SW.
Oblique aerial view centred on the S part of the bomb factory, taken from the SE. 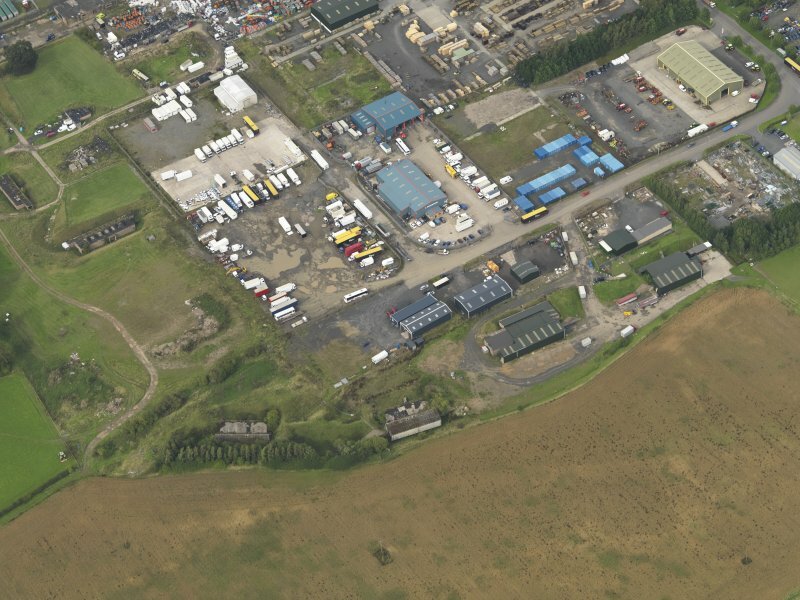 Oblique aerial view centred on the S part of the bomb factory, taken from the S.
General oblique aerial view centred on the bomb factory, taken from the SSW. 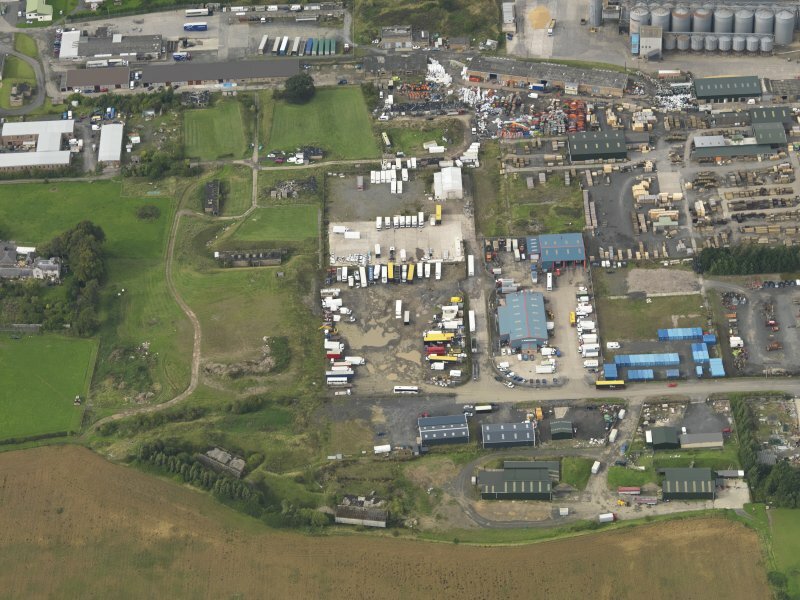 Oblique aerial view centred on the S part of the bomb factory, taken from the NW. 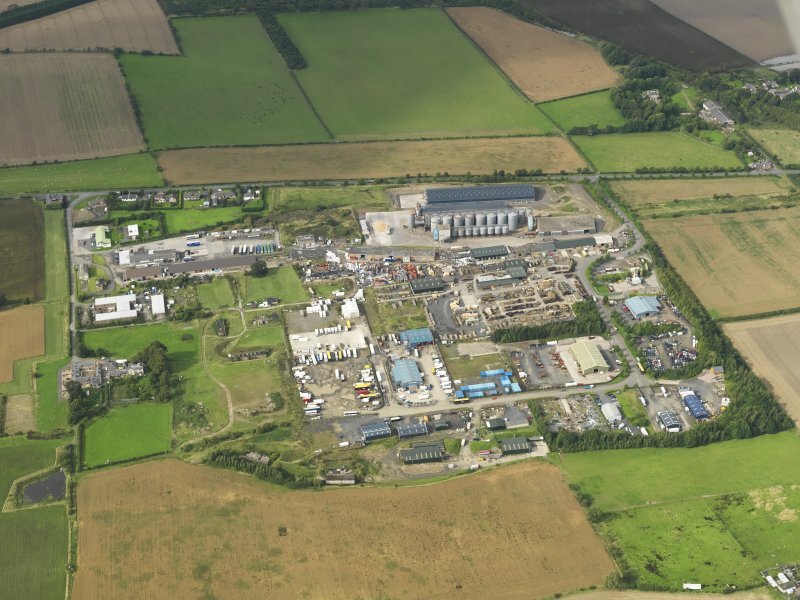 General oblique aerial view centred on the bomb factory, taken from the SSE. Incendiary bomb production plant built c.1942. Production of incendiary bombs ceased in 1945, thereafter part of the site was used by the Royal Navy to store small arms and small guns. 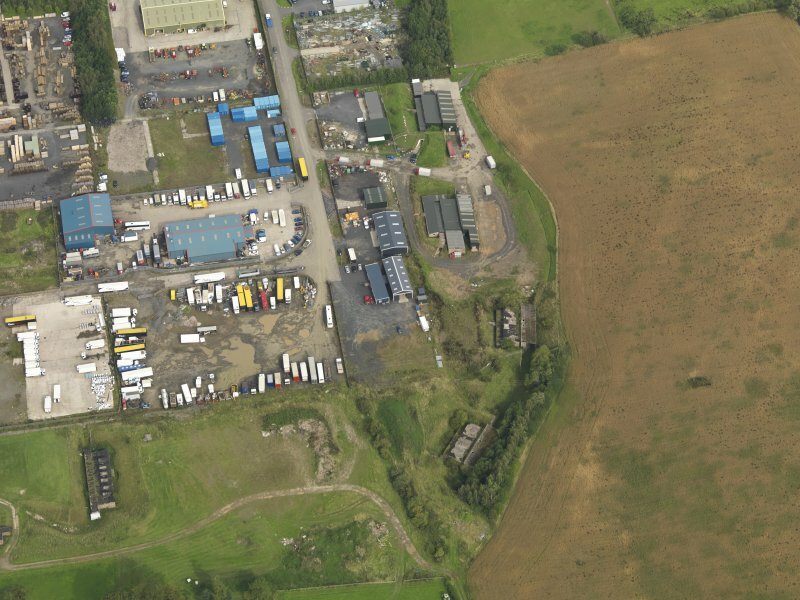 Use by the RN ceased in the early 1960s and several of the buildings were then used by famers, notably West Cumberland Farmers for storage and animal husbandry along with some light industrial units. Much of the site has recently been cleared by the farmer. 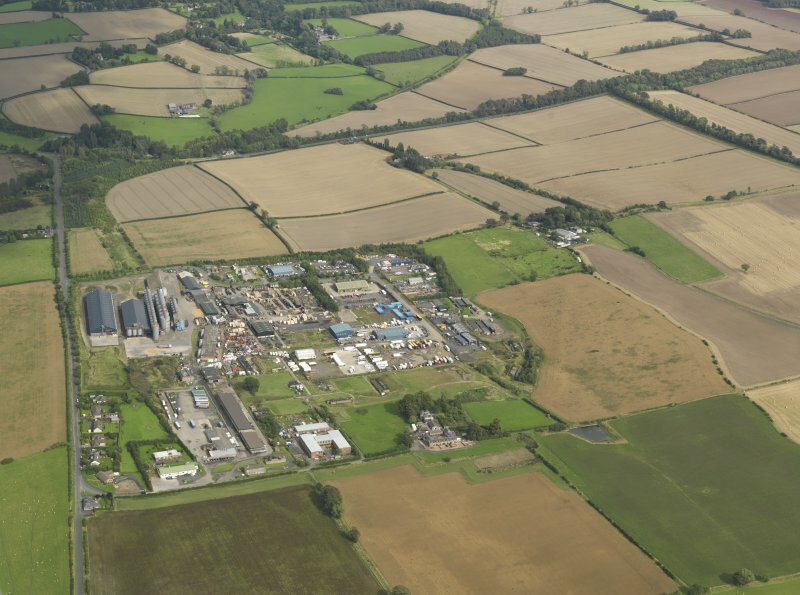 The World War Two incendiary bomb factory at Charlesfield is situated to the S of St Boswells. 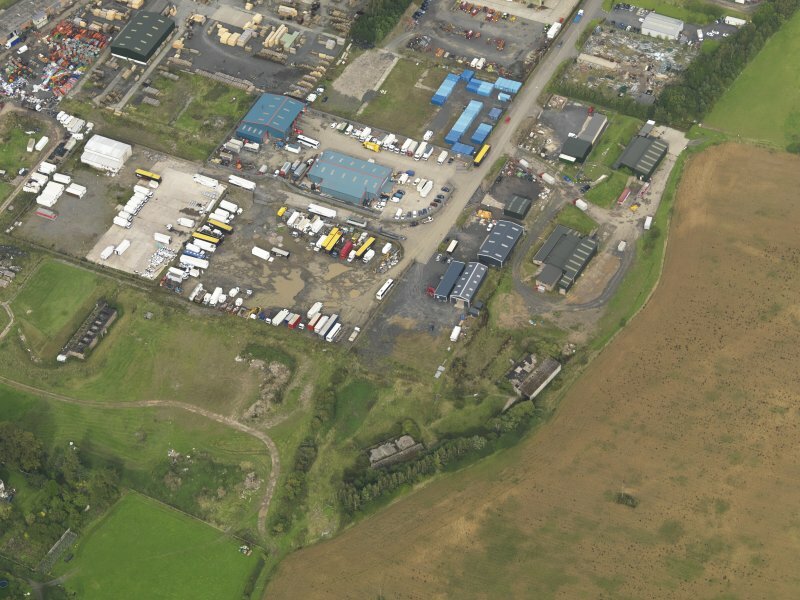 The site is now an industrial estate, some of the buildings have been cleared, but many still survive. 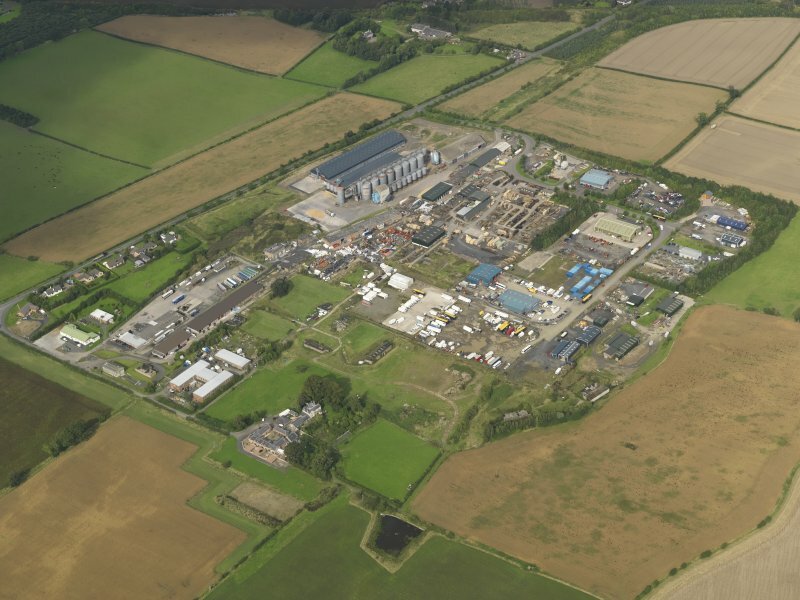 The factory later became a Royal Navy Armament Depot. 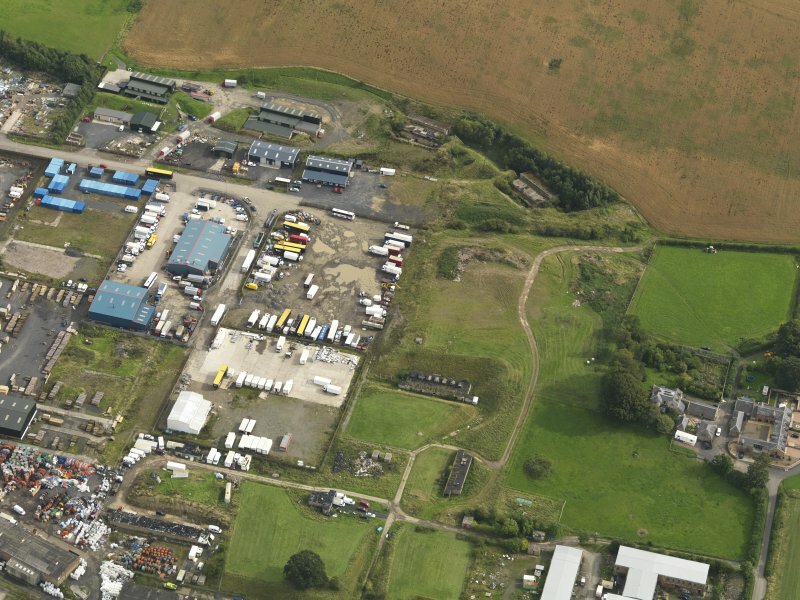 Charlesfield bomb production plant is visible on RAF WW II oblique aerial photographs taken in 1943 and 1944 (No.1 CAM, 14265-14266 and 24599 and 24604, flown 23 June 1943 and 10 June 1944 respectively). The 1943 images show in detail the internal layout of the buildings and structures. In addition the rail connection to the Edinburgh-Hawick-Carlisle main railway is also prominent. Information from RCAHMS (DE), March 2006. An incomplete Hunter Penrose camera, consisting of a substantial mahogany, brass and iron frame, cranked length adjustment, and bellows c.3 metres long. No lenses survive and the remains are built into the fabric of the building, in so far that an adjoining room is connected by a window through which the camera projected. The large size of this camera suggests that is was used for military intelligence purposes, possible the enlargement of aerial photographs, and that it required two rooms to accommodate it.